Recording your iPhone screen was a challenge in the past because old iPhones don’t have a built-in recording feature. But with the release of iOS 11 and the latest iPhones, like iPhone X and 8, Apple has given a built-in feature to record your iPhone screen. Now gaming and screen recording have become much easier than before. If you are an old model iPhone user then you will have to use an iPhone screen recorder app to record your screen of iPhone. 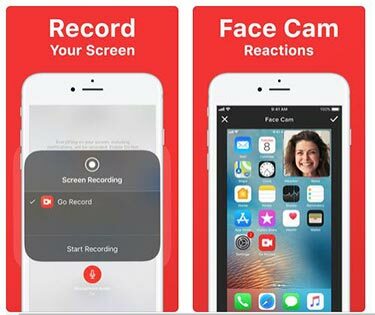 If you don’t know how to record your screen on iPhone, then you have come to the right place. 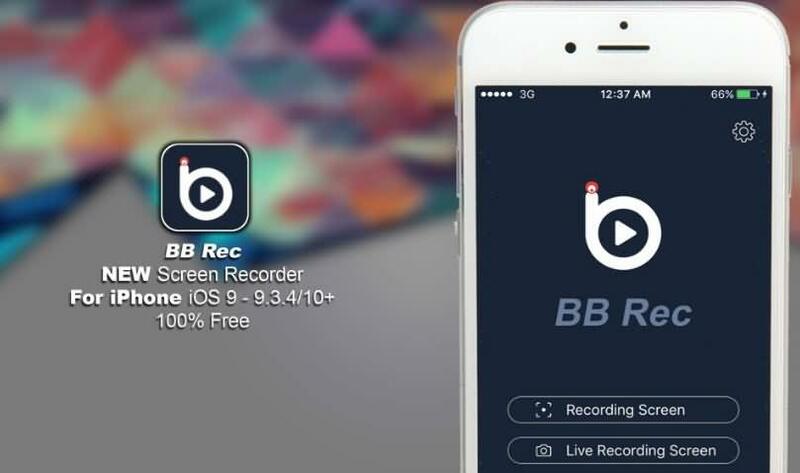 You will get to know about 10 iPhone screen recorders that will blow your mind. With all the exciting and advanced features, you can enjoy screen record on iPhone 5/6/7/7 Plus/8/8 Plus/X easily. You can start recording in just one tap. Records almost everything including games, video tutorials, apps etc. You can add FaceCam reactions to your recordings. Video editor, audio commentary and organizer available. The iPhone screen recorder app has various advanced features. Let’s you share your recordings directly. It can be slow sometimes. 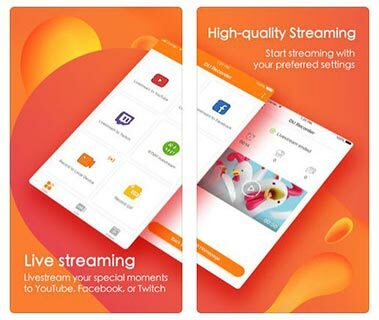 You can live stream to YouTube, Facebook, and Twitch. You can customize your settings and account as you like. Various resolution options and high-quality recording. You can protect your privacy by setting your recordings to the public, unlisted or private. Easy to use the process of recording. You will need a Twitch account to use this recorder. You need to adjust your iPhone to silent mood to record silent videos. The screen recorder app for iPhone supports multiple iOS versions. Supports all kinds of portable devices. Uses a lot less processing power than other recording apps. Too much noise when recording audio. Basic and easy options but no advanced usage available. You can use it for camera recording, live screen recording and basic screen capturing needs. Can be installed very easily. The iPhone voice recorder app can crash sometimes. Crystal clear and high-quality recording. One click start function available. You can easily customize settings. Can be used for various projects. The app can perform slowly sometimes. Color matching quality is great. Start and stop timers system. Performance quality is better than a lot of recorders. The app can crash sometimes and become slow. 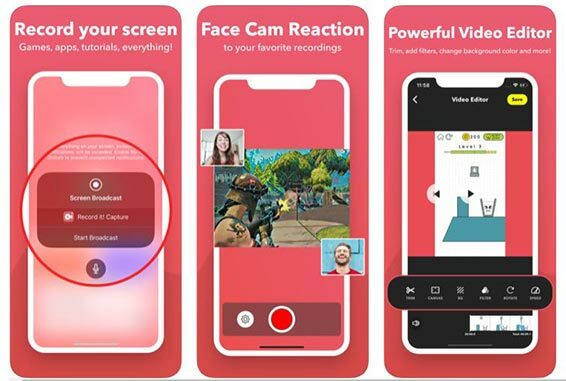 Let’s you record your screen in all apps and games. You can react with Face Cam. Let’s you use your microphone to add audio commentary. This iPhone voice recorder Supports all iPhone models and devices. Video editing feature is not available. It will provide you with full HD business grade point-to-point and multipoint video conferencing when you connect it to your enterprise or service provider’s Vidyo infrastructure. Telepresence quality conferencing with shared content viewing on the move available. 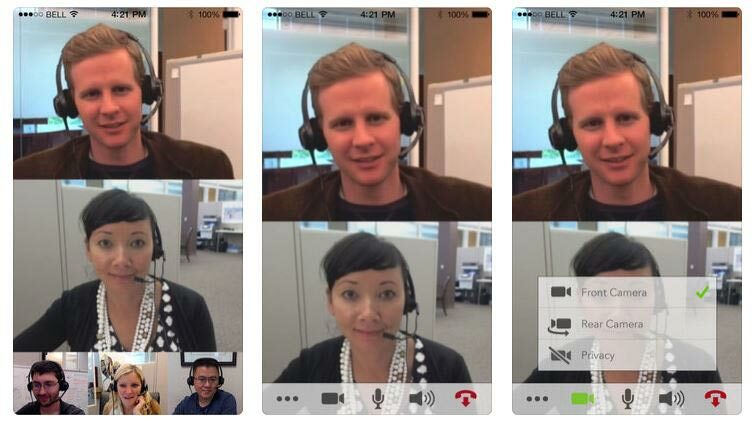 The voice recorder for iPhone has patented Adaptive Video Layering technology. User-friendly and advanced features available. It requires a Vidyo account through your enterprise or third-party Vidyo service provider. It can record voice notes, reminders, or anything else, then playback on-the-go. You can send audio files as email attachments. Adjustable audio quality and file size available. Very convenient features and easy to use. Unlimited recording time helps you to record as long as you want. Sometimes the app can be stuck and become slow. Sometimes it will record for only a few seconds and stop for a big issue. Advanced video editing program is available. Various filtering effects are available for videos. Various options available for subtitles, cutting and dragging combinations. 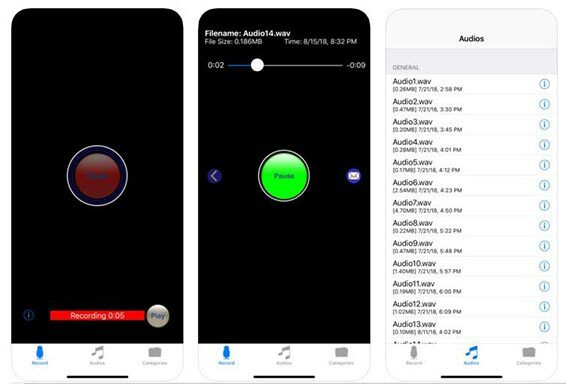 The voice recorder iPhone app unable to capture game audio during the recording. 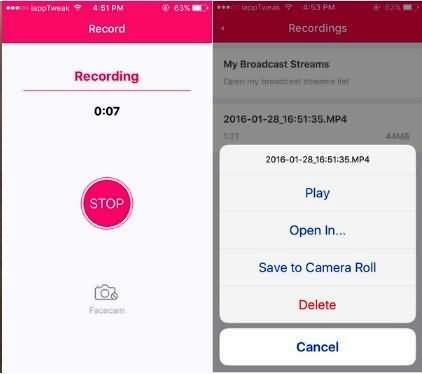 A lot of people don’t know how to screen record on iPhone but this part will help you to learn how to record your screen on iPhone manually. It’s really easy and all you need to do is follow the below guideline to record your screen on iPhone. First, you need to go to the "Settings" menu of your iPhone and select "Control Center". Then choose "Customize Controls" and tap on the "+" button next to "Screen Recording". Now swipe up from the bottom edge of your iPhone and if you are using iPhone X or later with iOS 12 or later, you need to swipe down from the upper-right corner of your screen. Then you need to press and hold on the round grey button and tap on "Microphone". Now you need to tap on "Start Recording" and then wait till the 3-second countdown. Finally, you need to open "Control Center" and tap on the red round button or you can tap on the red status bar at the top of your screen and then select "Stop". You already know the best video screen recorder of iPhone is available for you. All you need to do is pick any of these iPhone screen recorders and start recording your screen on iPhone. So there is no need to panic anymore, just record high-quality videos on your iPhone easily. After completing the recording of the iPhone screen, they were lost due to accidental deletion. But don't worry, you still have a chance to recover permanently deleted photos from iPhone without backup.